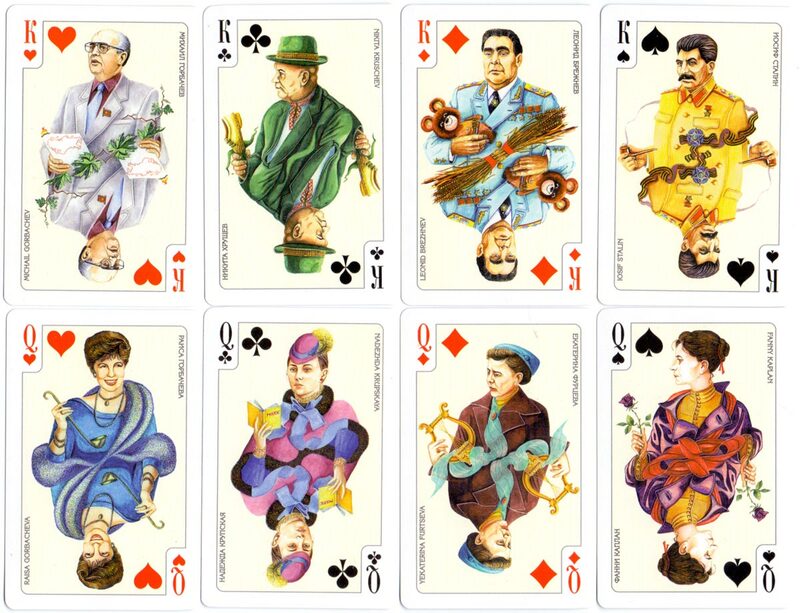 “Back to the USSR” deck featuring communist party leaders and politicians designed by Y. Nepakharev and R. Melikhov, printed by Grimaud for the Russian market, c.1995. The captions on the court cards are in Russian and English; the information on the box is all in Russian. 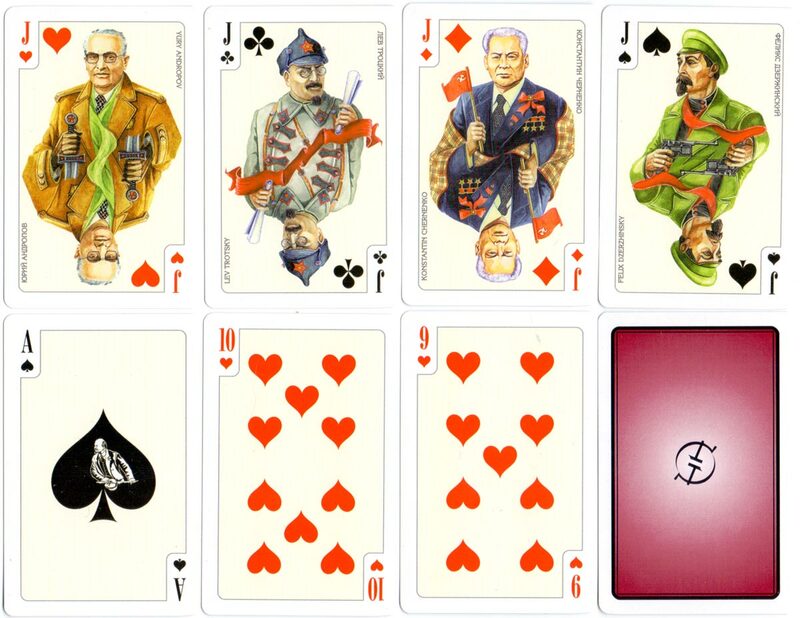 Above: “Back to the USSR” playing cards printed in France by Grimaud, c.1995. 36 cards in box. 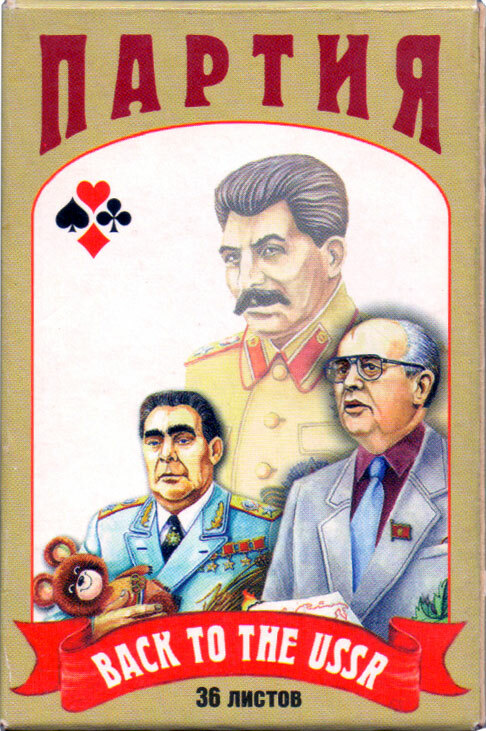 The ace of spades has a portrait of Lenin in centre of the spade.